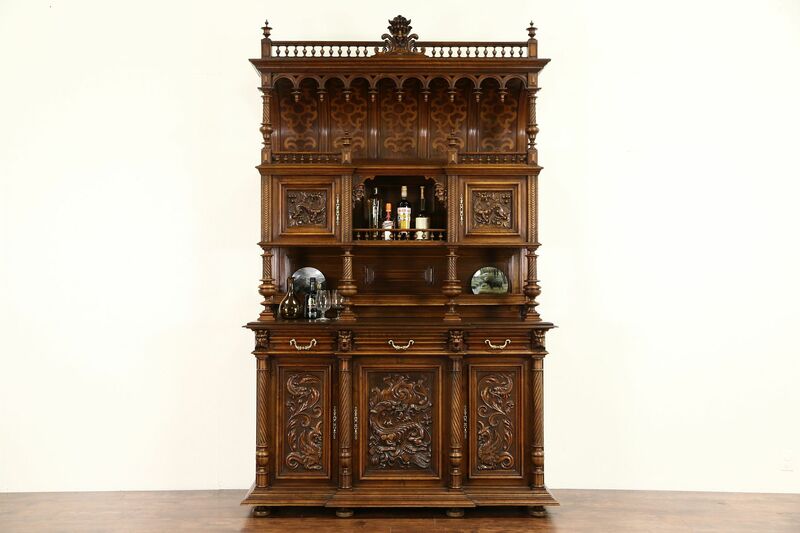 Handcarved of walnut in Denmark about 1880, this magnificent cabinet has three dimensional court jesters and dragons. The vaulted upper gallery and spiral columns are remarkable. The top of the base has a restored finish for durability, the rest of the cabinet is original with a very fine finish. Waxed and buffed, all that is needed to maintain the warm patina is an occasional wipe with a soft dry cloth. Measurements are 65" wide 24" deep, 8'8" tall and the base cabinet is 40" high.